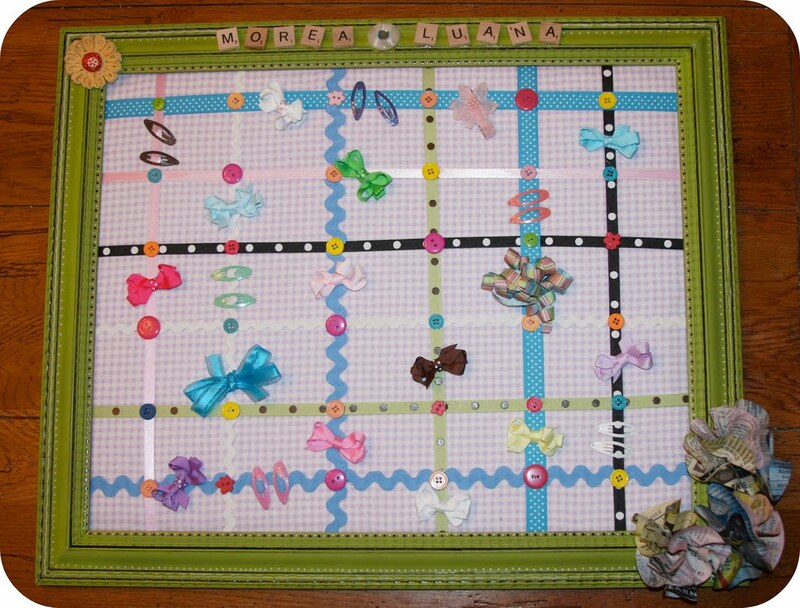 I made this adorable Hair Accessory Frame for a good friend on mine. She just had her baby this week. Congrats Jenn! I will be delivering it soon. First, take the back off your frame. Place the frame on your blocks (these pipes came in handy, so if you have them, use those instead). This makes it easier to do your painting in 1 step. You can get all the outside and inside sides easily too! Grab your spray paint and start spraying away. With this particular frame I wasn't worried about covering it completely. You'll see why in a second. Now your ready to go indoors and have some fun decorating. Take your blanket batting and cut to fit the inside of the frame opening, set aside for now. 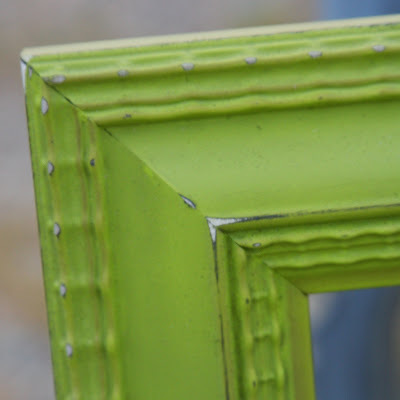 Now take your fabric scrap and cut it to the size of the whole frame. You want it larger so you can fold it over and attach it to the back. But don't do that just yet. We need to add ribbons. Make sure you place the fabric over the batting. The batting is to give it a little extra lift and softness to the board. It's time to lay out your ribbons. I used a variety of ribbons so I could give it a lot of color. Make sure you line it all out how you want them because your next step will be tacking them down. Carefully turn over the frame so it is face down. You don't want your ribbons to fall out of place. Now grab that staple gun and tack down your fabric, making sure you get all the ribbons too! Trim excess fabric and ribbon. Don't worry about how ugly it looks, you can cover the back with a trim piece. I like to cover the whole thing. Once these are made, you won't take them apart anyway! Now you want to use either a Hot Glue Gun or E6000 (I used E6000) and glue the ribbon to the fabric. You only want to glue the ribbons where they meet. See where the tip of the glue cap is. Glue those two ribbons down. Now you get to pick some cute buttons to glue on top of the spots you just glued. You can use large, small and shaped buttons. Finally, just embellish your frame with paint pens, flowers, a name, ect. I used scrabble pieces for her name and some newspaper flowers that I had made recently. Don't forget to cover the back of your frame with a large, thin piece of wood. Just tack or glue in place. Add a wall hanger and you are ready to hang and keep some cute hair accessories. I think this turned out very cute! I'd love to see your pictures, if you have made one of these! Send them our way and we will link them up to this post! What a wonderful gift for a little girl room touch of class! Great tutorial !Linking you wed.